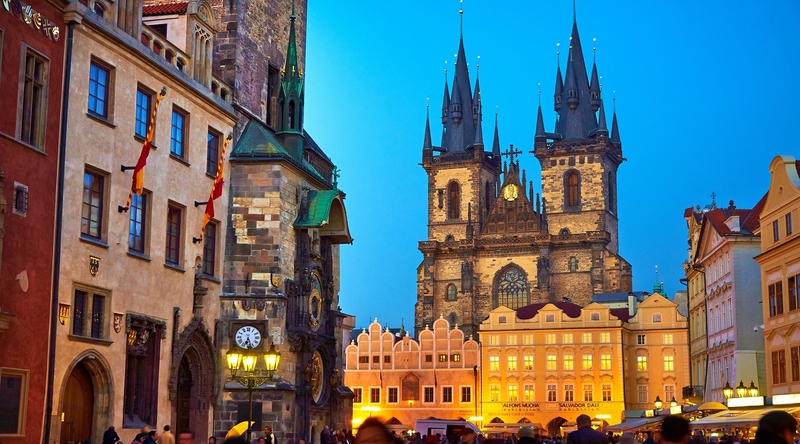 Scintillating beauty can be the witness at one of the most adorable parts in Central Europe, Prague- a city which is known for its historic monuments, breath-taking architecture and a ravishing nightlife. It is worth visiting this charismatic destination that excels excitement, serenity, and value for money altogether. Tourist destination like Prague stands perfect for the leisure travelers & honeymoon travelers as it offers a complete package of entertainment incorporating mesmerizing sightseeing, cafeterias, restaurants, Churches and many more unbeatable hangout places. Exploring a European city like Prague would surely be an unforgettable experience that can be cherished for lifelong and making it comfortable and pleasant for you is what we here for. Prague holiday booking is easy and hassle-free with Oikes- a group specialized in providing comfortable and ensuring your stay a pleasant one at budget hotels in Prague. Catering individual traveler need, Oikes customize the holiday package that involves the variety of hotel options and other amenities. Here at budget hotels at Prague, excellent hospitality is offered where the travelers get great services by the friendly staff. Delivering an accommodation that fits the requirement of travelers is the only aim we have and we work for. To facilitate the accommodation, the group avail an array of facilities at economic rates to the budget-centric tourists. Well-maintain affordable 3 star and 4-star hotels deliver utmost comfort and multifold services. The rooms are beautifully designed with a flavor of European culture and studded with modern articles ensures a classic touch & feel to the guests. Ultramodern comforts and additional benefits enable guests to enjoy the stay and delivers memorable moments. All the budget hotels are very illuminated, curate in style and furnishing to make the accommodation comfortable. Located in the center of the city, these cheap hotels in Prague serve high accessibility to all the prominent tourist attractions. The hotel and apartments are affordable that give valued services at a very competitive rate. We hold expertise in destination management providing tour packages at best-in-class tariff in the market. We offer a variety of staying options like boutique hotels, budget hotels and apartments that are available at great deals. These hotels are not only impressive in term of looks but also delivers delicious Asian cuisine and best drinks that city has to offer. Our 3 star and 4-star hotels are very much likable avenues for the honeymoon travelers, friends group, and families for its hospitality and accessibility. We specialized in tour management incorporating all the allied services that makes leisure n business travelers happy and comfortable. This spectacular city bestows beautiful dusk and a romantic dawn with the settings of bridges and pleasant Vltava riverside to travelers. You can book a holiday package to Prague to see the ultimate beauty of Charles Bridge- an iconic structure of 14th century, Old Town square- an architectural place of local government, Prague Castle- castle complex, Prague astronomical clock, National Museum, Gothic Church, Kampa Island and a lot more. Oikes, runs a fantastic Prague accommodation at reasonable prices, so you can spend a pleasant stay in the Golden City. Visit our website. Here you will find the best option for your stay in our city, such as cheap hotels, small luxury hotels, luxury apartments, or if you prefer a low-cost accommodation that will ensure full access to services and to the monuments. Come to Prague! A city where you can fill your days and nights with sights, sounds and emotions from the very heart of Europe.